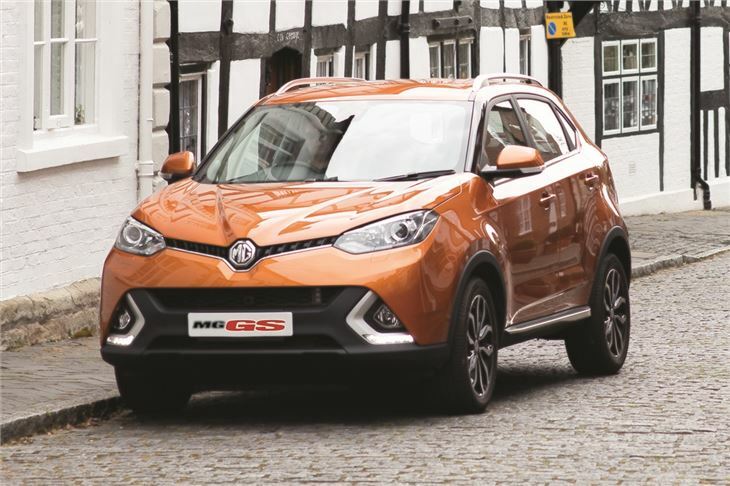 With a spacious cabin and generous standard equipment, the GS is easily the best car MG has produced since its revival under Chinese ownership. It’s good value next to the Nissan Qashqai too – but the drab interior and some questionable material choices hold it back, as does the existence of the better-value SsangYong Tivoli. 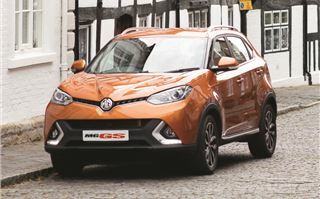 One of the biggest surprises about the MG GS is found under the bonnet. Unlike its key rivals, there is no diesel engine. Instead, the GS is offered with a 1.5-litre turbocharged petrol with 166PS and 250Nm of torque. The four-cylinder petrol isn't particularly quick or refined though. 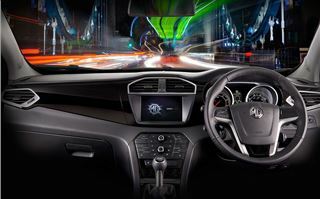 It's noisy under acceleration and needs to be worked quite hard when joining a busy motorway or attempting to overtake slower traffic. Claimed fuel economy is 46.3mpg and emissions are 139g/km, which is similar to the slower Nissan Qashqai 115PS 1.2-litre DIG-T. A seven-speed dual-clutch automatic transmission is available as an option, but only if you choose the highest trim level. It has a small impact on economy though - returning 45.5mpg and 141g/km. The suspension and steering work reasonably well on rough UK roads. Vibrations from potholes and bumps do occasionally intrude into the cabin with the odd thud, but the controls are nicely weighted and the gearbox is slick. At 50mph on a B-road the GS feels responsive and is fairly entertaining, if not quite as well-rounded or comfortable as something like a Skoda Yeti. All-round refinement isn’t bad, but the engine does drone on and become rather tedious when hurrying the GS along. Things improve at motorway speeds. The GS is hushed and cruise control comes as standard. 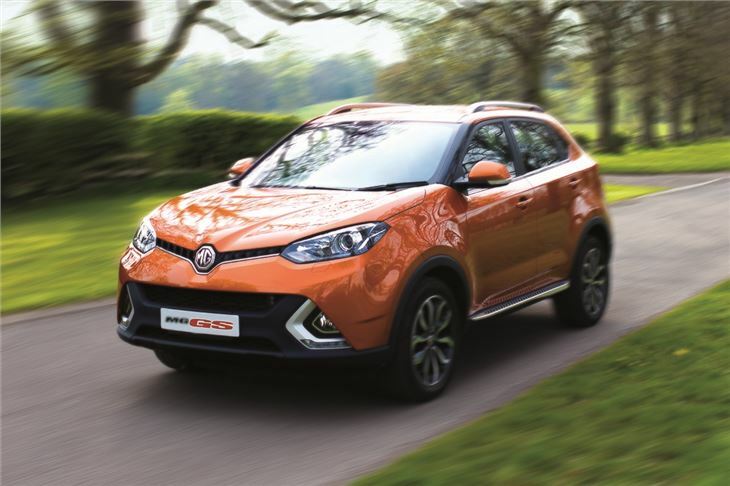 If you’re planning a touring holiday, the GS can tow a braked trailer of up to 1750kg, which is enough for a typical four berth caravan and is competitive with rivals, including the Skoda Yeti and Nissan Qashqai. What really stands about the GS is the amount of cabin space it offers. 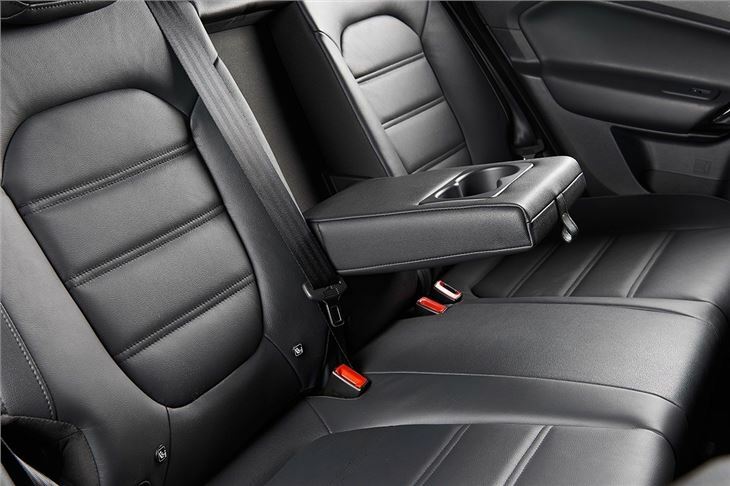 The back row of seats provides huge amounts of leg and headroom, meaning three adults or tall teenagers will fit across the rear bench, plus the seat backs can be reclined to improve comfort. 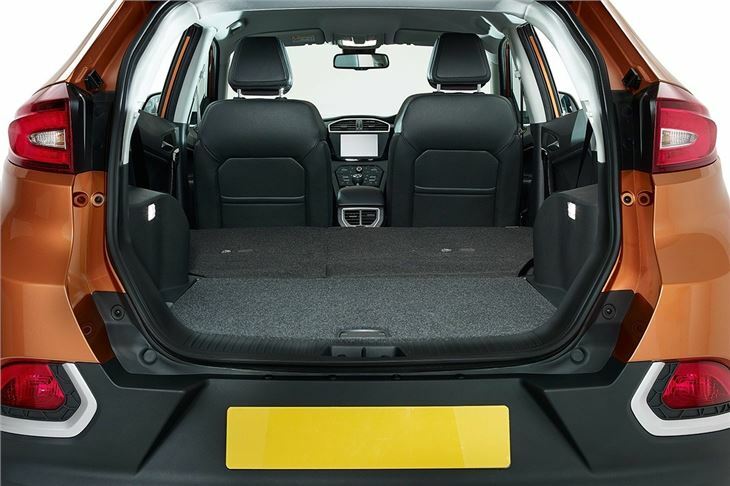 There are also two Isofix mounting points for child seats, but fitting them would be easier if the rear doors opened wider. The boot is reasonable at 335 litres but the boot opening is surprisingly narrow due to the shape of the tailgate, which is a fairly poor design oversight. 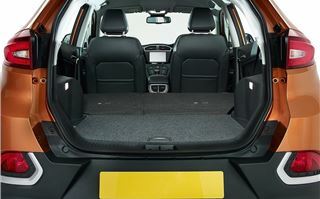 There is a space under the load area floor to stow the load cover when carrying large items, while overall capacity can be increased to 1336 litres with the rear seats folded flat – a straightforward process. While it might be an impressively spacious car, the interior isn’t without its problems. There is a general feeling of hardwearing solidity to the plastics, with the glossy, hard dashboard looking cheap. The seat fabric is old-fashioned and a little on the thin side too, which makes us question its longevity against years of muddy children’s feet and sticky fingers. Standard equipment is good though, with alloy wheels, air conditioning, cruise control and automatic headlights. 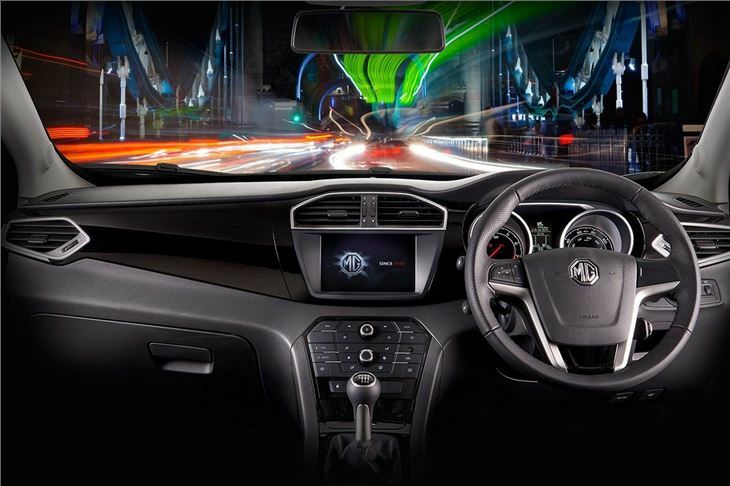 The mid-spec Excite model gains a large touchscreen infotainment system that is responsive and easy to use, plus it comes with useful functions like MirrorLink, which enables smartphone users to safely operate apps when driving. Mid-level models also have a reversing camera and Bluetooth connectivity. 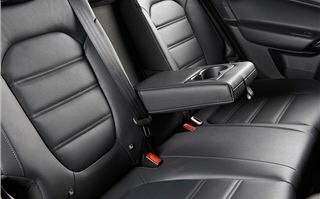 Moving up to the top trim adds leather upholstery and heated, electrically adjustable front seats. 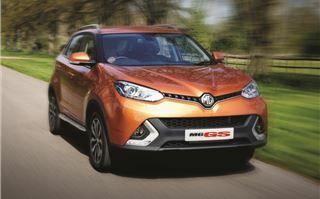 It also includes navigation, which can be updated for free using a USB stick via the MG website. There’s 2GB of on-board storage for music, plus the system displays cover art for albums. 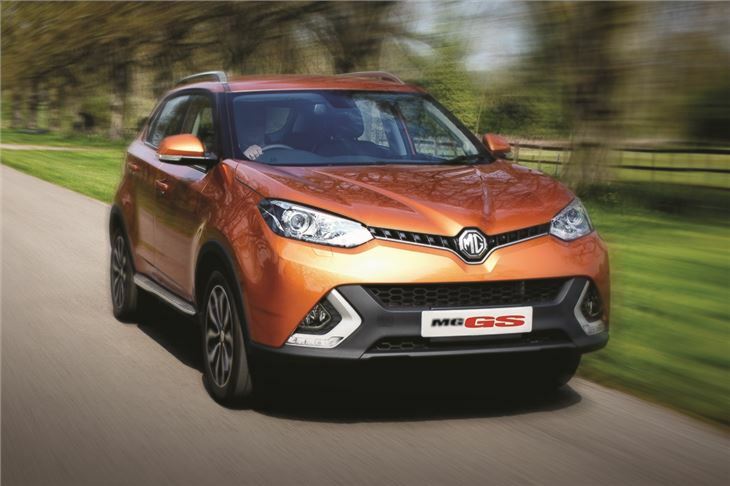 Well-equipped and spacious, the MG GS is good value, starting at £14,995. The highest trim model is £19,495 and features plenty of kit. However, there is a similarly-priced crossover on sale that is, in our opinion, a much better buy. 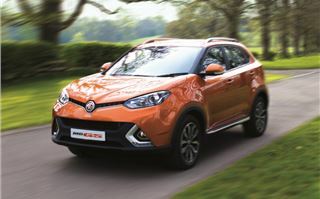 The top-spec SsangYong Tivoli has less rear legroom, but has a higher quality interior, all-wheel drive, a diesel engine and an automatic gearbox, all for just five pounds more. 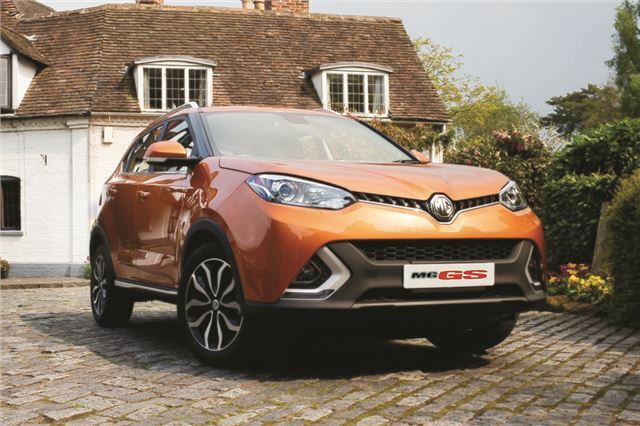 That’s not to say the MG GS is without any merit at all. The 1.5-litre petrol engine is surprisingly capable next to the similarly priced Qashqai 1.2 DIG-T, plus the infotainment system is a step in the right direction. There is also a five-year warranty as standard. However, even after factoring all of this, the GS feels a few steps behind its rivals on quality.